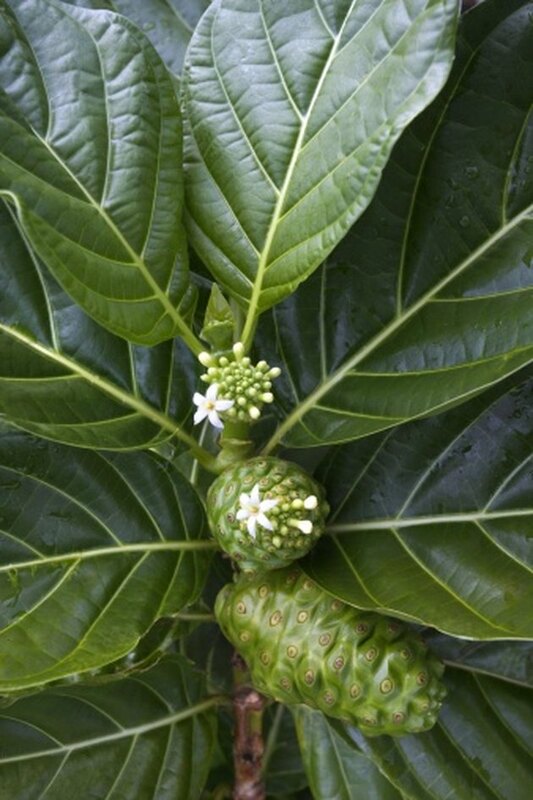 For thousands of years, noni has been used in Polynesia as a food, dye and medicine. Today, noni is used medicinally for conditions such as cancer, cardiovascular disease and diabetes. Noni commonly is taken as a juice but also is available as a tea and in capsule form. Before taking noni, consult with your doctor. Noni might cause side effects and possibly interact with certain medicines to cause potentially serious health problems. Although only a few side effects have been reported from noni use, its safety has not been sufficiently studied. There have been no commonly reported side effects following the ingestion of noni capsules. You might notice that your urine temporarily changes color to pink, orange, or brown when taking noni. According to the National Center for Complimentary and Alternative Medicine, cases of liver damage have been reported from ingesting noni. You should not take noni capsules if you have liver disease because it contains chemicals that might make your liver problem worse. Noni contains large amounts of potassium, so if you also are taking potassium supplements, salt substitutes with potassium, or medicines that help your body retain potassium, such as certain water pills, your potassium levels might become too high. High potassium, or hyperkalemia, usually does not cause symptoms but you might have nausea, irregular heartbeat or a weak pulse. Hyperkalemia is a potentially serious health problem that can be lethal if not promptly corrected. Avoid taking noni capsules if you have kidney problems and are on a potassium-restricted diet. Also avoid potassium-rich foods such as apricots, bananas, milk, potatoes, spinach, and sweet potatoes because your potassium blood levels might become too high. Juices such as orange, prune and tomato also are high in potassium and should be avoided. Do not take noni if you are pregnant or breastfeeding because its effects on these conditions are not known.